The Nintendo Direct announcement caused quite a stir last night amongst the Nintendo faithful. 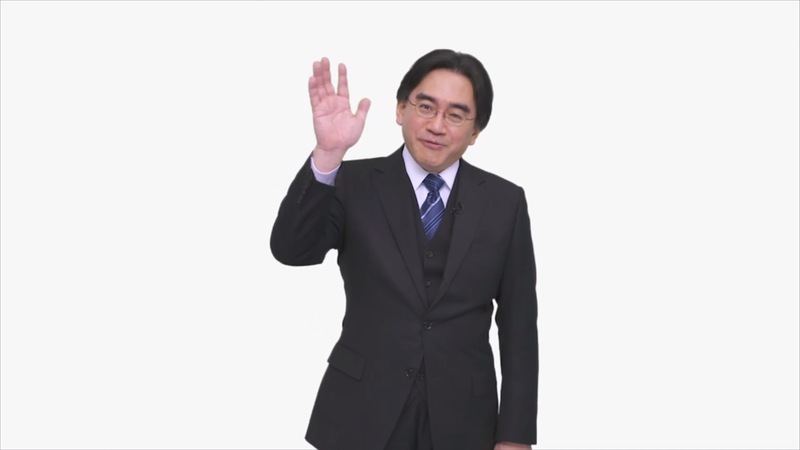 “What’s a Titanfall Beta?” Nintendo fans asked as they gathered around 3DS screens eager to hear Iwata’s hallowed words. There certainly was a lot for Nintendo fans to be happy about. Hot on the heels of the new Sonic exclusives announced last week, Capcom also stated that Monster Hunter 4U would be coming to 3DS in Europe and a new trailer for Bayonetta 2 was shown in all of its eye melting beauty. Nintendo paraded their own wares as well. 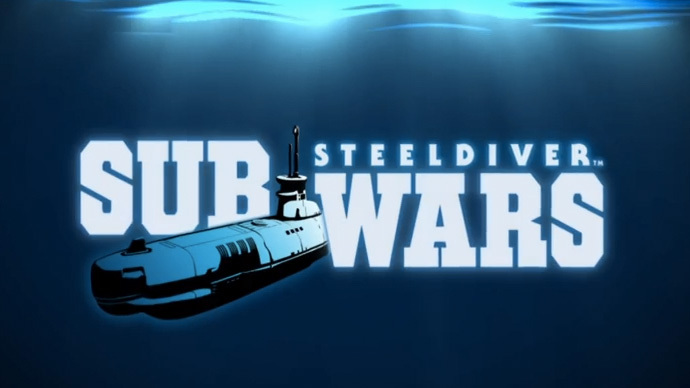 Bowsers Minions are to be playable characters in Mario Kart 8 and Little Mac was added to the roster in upcoming Super Smash Bros.
To be honest though, the thing that I found most exciting about last nights announcement was Steel Diver: Sub Wars. Iwata didn’t do a terribly good job in selling it though, claiming that it was “contemplative” slow paced tactical FPS. My favourite FPS’s and the ones I always flock to are those that are fast paced, with big explosions, colourful graphics a multitude of ridiculous weapons with names like BFG or Cerebral Bore. What Iwata seemed to be selling last night was Forsaken but with really bad lag. As Steel Diver: Sub Wars is free though I though that I would give it a chance. This title marks Nintendo’s cautious toe dipping into the free to play market and as a first attempt it’s Admiral, sorry admirable. 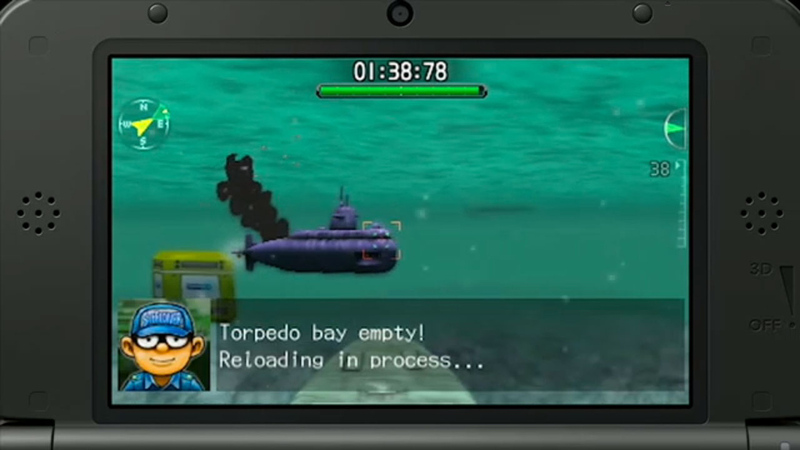 In single player mode the free version is limited to the first two levels, which are essentially tutorials and you can only choose one Submarine. The multiplayer mode is playable in its entirety though. Due to Nintendo’s liberal amount of free content, Steel Diver feels more like an older Shareware game like Doom and Quake. Free to play titles nowadays tend to be so bloated with adverts it’s like playing an interactive infomercial. How does Steel Diver play then? Well after playing through the first two missions of the single player (the only ones available in the free version,) it looks like it could be a really boring mess. The areas are lacking any detail to give them character. The radar only works for small periods of time so you constantly have to refresh it, which when combined with the sluggish controls make searching for that final enemy to kill a really boring chore. But, the things that make Steel Diver’s single player mode so dismally boring are the exact same elements that help to make the multiplayer a tense and enjoyable game. It’s a simple Team Death match style of play where the Red team and the Blue team compete to eliminate one another. Like Counter Strike there’s no re-spawning, so if you die you are forced to watch the rest of the game play out. If you leave the game early you lose any experience gained. This isn’t as bad as it sounds because the camera angles are so cinematic and the torpedoes move so slowly that you find yourself cheering them on as they try to connect with their target in a sort of natural aquatic bullet time. The cumbersome lever controls on the touch screen, along with the members of crew that pop up to keep you informed of imminent collisions and how many torpedoes you have make you feel like you are actually in command of a giant submarine. There’s a sense that your vessel is populated by a few hundred souls who have their faith that you are going to captain them to victory and make sure that they see their families again. 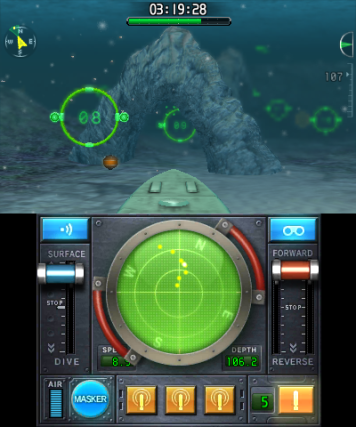 The most impressive thing that Nintendo have achieved with Steel Diver though is the perfection of team speak. Rather than listening to shrieking teenagers who seem to have no purpose in life other than to cause extreme irritation, much like genital warts, in Steel Diver gamers communicate through the use of Morse code, which is amusing, novel and helps add to the nautical theme of the title. It also takes a while to tap out messages so people only tend to communicate when they have something intelligent or really important to say. Steel Diver is an incredibly addictive online hit that Nintendo should be able to capitalise upon by adding more submarines and modifications that people can purchase and carry more of their own presence into the virtual world. Currently you can purchase a single submarine for the price of just 89p or you can buy the full game which includes 18 subs, all of which are customisable, and you get the full single player mode for just £8.99. Steel Diver should be a successful first step into the world of Free To Play for Nintendo and hopefully more companies will take note and adopt a more shareware style of distribution. Lets just hope that Nintendo’s next effort has a much better single player mode as well.